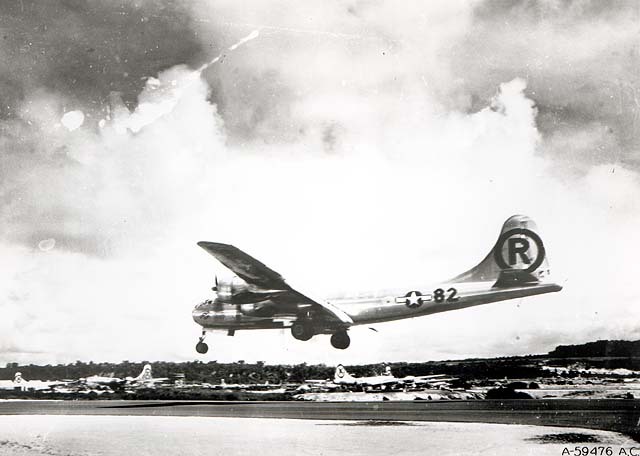 6 August 1945: At 0245 hours, a four-engine, long range heavy bomber of the 509th Composite Group, United States Army Air Forces, took off from North Field on the island of Tinian in the Northern Mariana Islands, on the most secret combat mission of World War II. The Martin-Omaha B-29-45-MO Superfortress, 44-86292, under the command of Colonel Paul W. Tibbets, Jr., was carrying Bomb Unit L-11, the first nuclear weapon to be used during war. 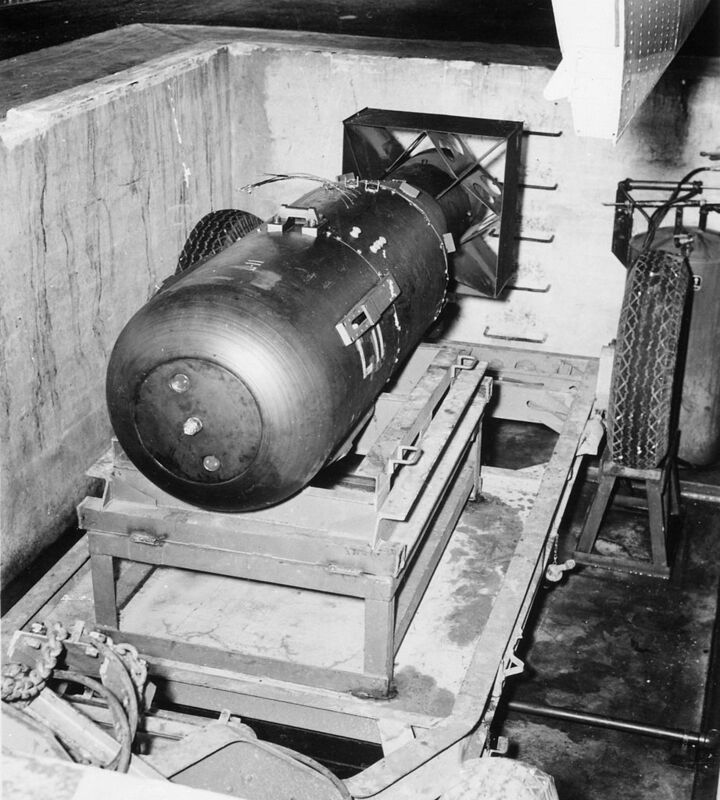 This was a 9,700-pound (4,400 kilogram) “gun type” fission bomb, the Mark I, code-named Little Boy. It contained 64 kilograms (141.1 pounds) of highly-enriched uranium. 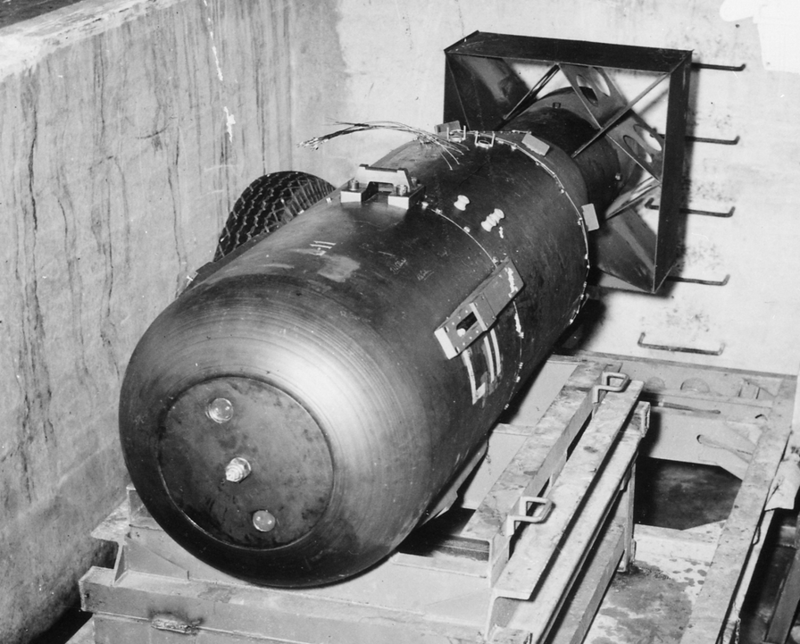 The bomb was 120 inches (3.048 meters) long with a diameter of 28 inches (0.711 meter). Although it was a very inefficient weapon, it was considered to be such reliable design that it had not been tested. 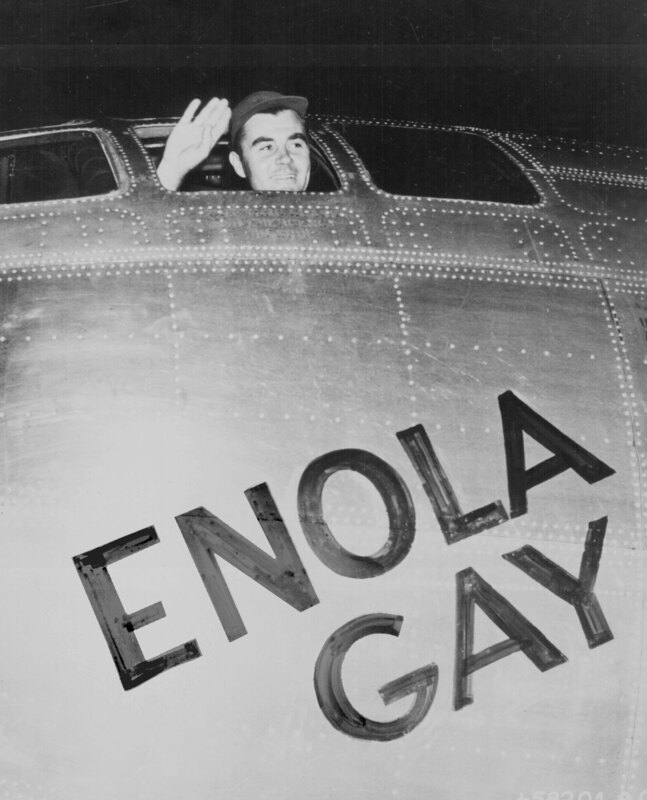 On the morning before the mission, Colonel Tibbets had his mother’s name painted on the nose of the airplane: Enola Gay. He had personally selected this bomber, serial number 44-86292, while it was still on the assembly line at the Glenn L. Martin Company plant at Bellevue, Nebraska, 9 May 1945. 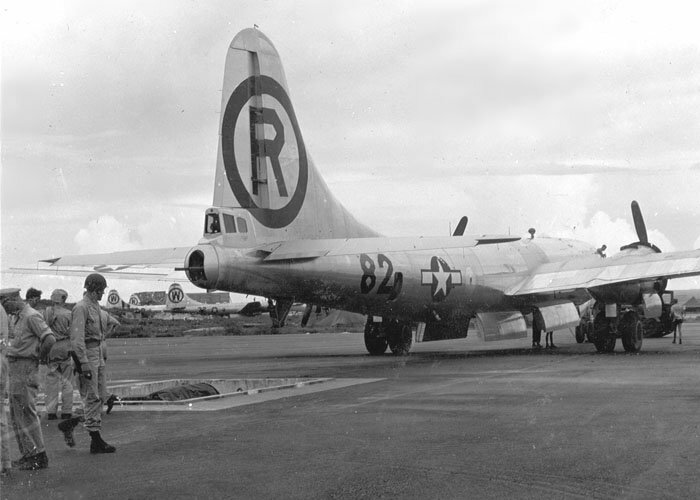 The B-29 was accepted by the Army Air Corps on 15 May and flown to the 509th’s base at Wendover, Utah, by Captain Robert A. Lewis, a B-29 aircraft commander who would act as Tibbets’ co-pilot on the atomic bombing mission. The B-29 Superfortress was designed by the Boeing Airplane Company as its Model 345. Produced in three major version, the B-29, B-29A and B-29B, it was built by Boeing at Wichita, Kansas and Redmond, Washington; by the Bell Aircraft Corporation at Marietta, Georgia; and the Glenn L. Martin Company at Fort Crook (now Offutt Air Force Base, Omaha, Nebraska. A total of 3,943 Superfortresses were built. The B-29 was the most technologically advanced airplane built up to that time, and required an immense effort by American industry to produce. The B-29 Superfortress was 99 feet, 0 inches (30.175 meters) long with a wingspan of 141 feet, 3 inches (43.053 meters) and an overall height of 27 feet, 9 inches (8.458 meters). The standard B-29 had an empty weight of 74,500 pounds (33,793 kilograms) and gross weight of 120,000 pounds (54.431 kilograms). 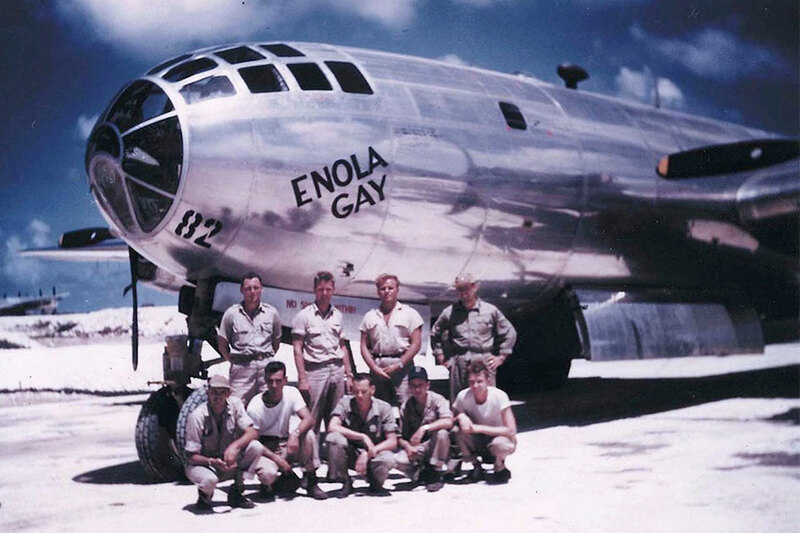 Enola Gay at Tinian, with crew members. 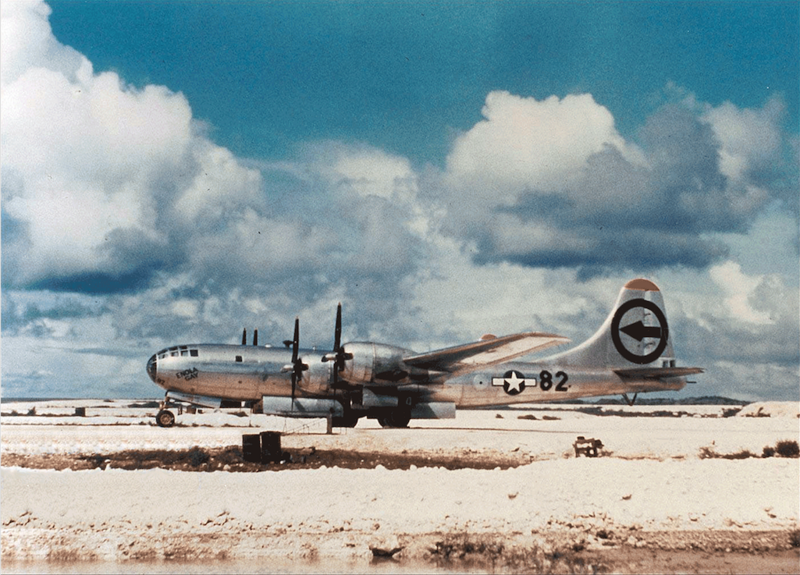 The Silverplate B-29s differed from the standard production bombers in many ways. They were approximately 6,000 pounds (2,722 kilograms) lighter. The bomber carried no armor. Additional fuel tanks were installed in the rear bomb bay. The bomb bay doors were operated by quick-acting pneumatic systems. The bomb release mechanism in the forward bomb bay was replaced by a single-point release as was used in special British Lancaster bombers. A weaponeer’s control station was added to the cockpit to monitor the special bomb systems. Enola Gay had four air-cooled, supercharged, 3,347.662-cubic-inch-displacement (54.858 liter) Wright Aeronautical Division R-3350-41 (Cyclone 18 787C18BA3) two-row 18-cylinder radial engines with direct fuel injection. The R-3350-41 had a compression ratio of 6.85:1 and required 100/130 aviation gasoline. It was rated at 2,000 horsepower at 2,400 r.p.m. at Sea Level, and 2,200 horsepower at 2,800 r.p.m, for take-off. The engines drove four-bladed Curtiss Electric reversible-pitch propellers with a diameter of 16 feet, 8 inches (5.080 meters), through a 0.35:1 gear reduction. The R-3350-41 was 6 feet, 2.26 inches (1.937 meters) long, 4 feet, 7.78 inches (1.417 meters) in diameter and weighed 2,725 pounds (1,236 kilograms). With the exception of the tail gunner’s position, all defensive armament—four powered remotely operated gun turrets with ten .50-caliber machine guns—were deleted. Their remote sighting positions were also removed. Enola Gay carried 1,000 rounds of ammunition for each of the two remaining Browning AN-M2 .50-caliber machine guns in the tail. With these changes, the Silverplate B-29s could fly higher and faster than a standard B-29, and the new engines were more reliable. Enola Gay had a cruising speed of 220 miles per hour (354 kilometers per hour) and a maximum speed of 365 miles per hour (587 kilometers per hour). Its service ceiling was 31,850 feet (9,708 meters) and its combat radius was 2,900 miles (4,667 kilometers). 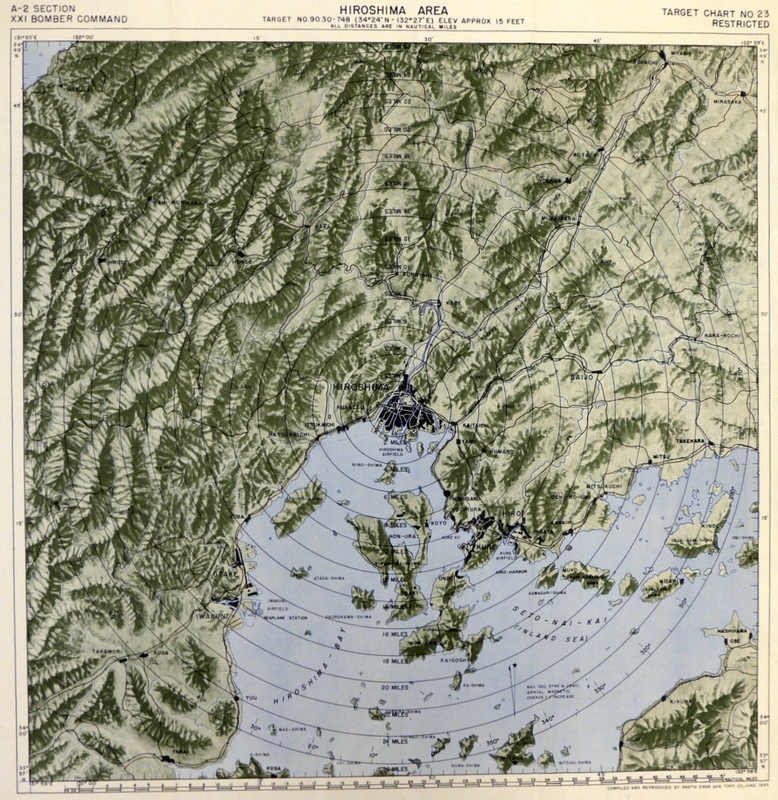 At 09:15:17 a.m., (mission time, 8:15 a.m., local), Enola Gay was at 31,000 feet (9,450 meters) over the Japanese city of Hiroshima on the island of Honshu, an industrial center with a population of about 340,000 people. 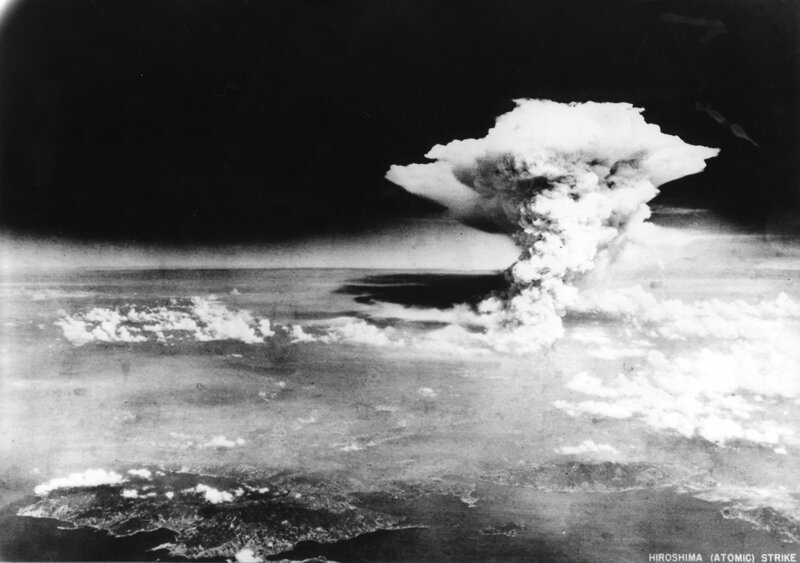 The bombardier initiated the automatic release sequence and the the atomic bomb was dropped. 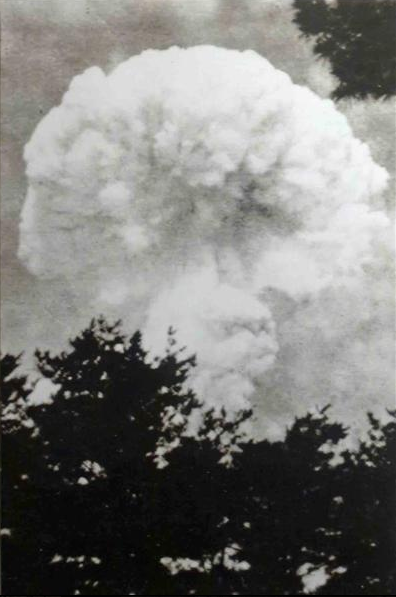 It fell for 44.4 seconds and detonated at an altitude of 1,968 feet (600 meters), about 800 feet (244 meters) from the aiming point, the Aioi Bridge over the Ota River. 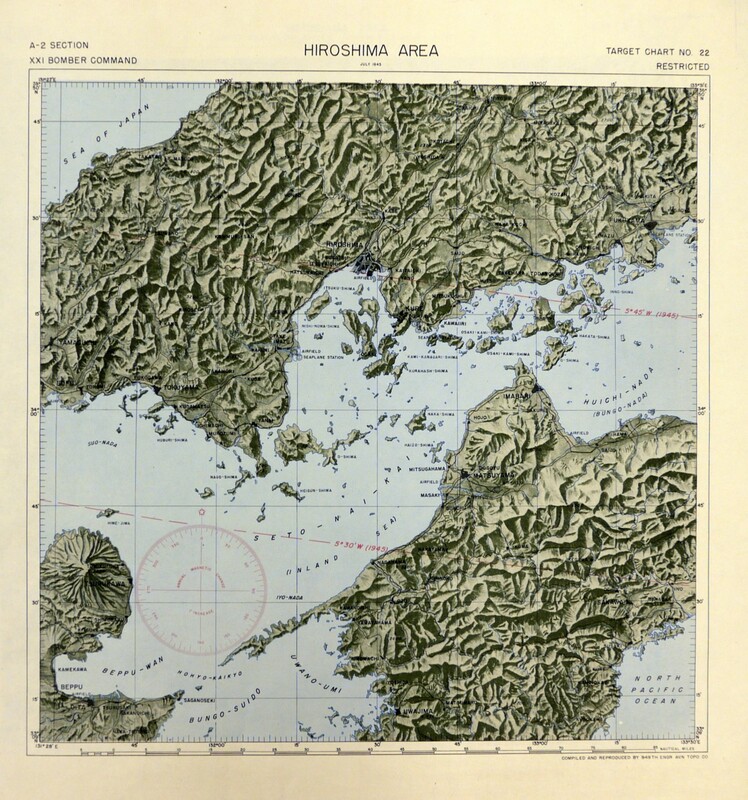 Ground Zero, the point on the surface directly below the explosion, was the Shima Hospital. The overpressure is estimated to have been 4.5–6.7 tons per square meter. The two-story brick building was completely obliterated. Of the patients, technicians, nurses and doctors inside, nothing remained. 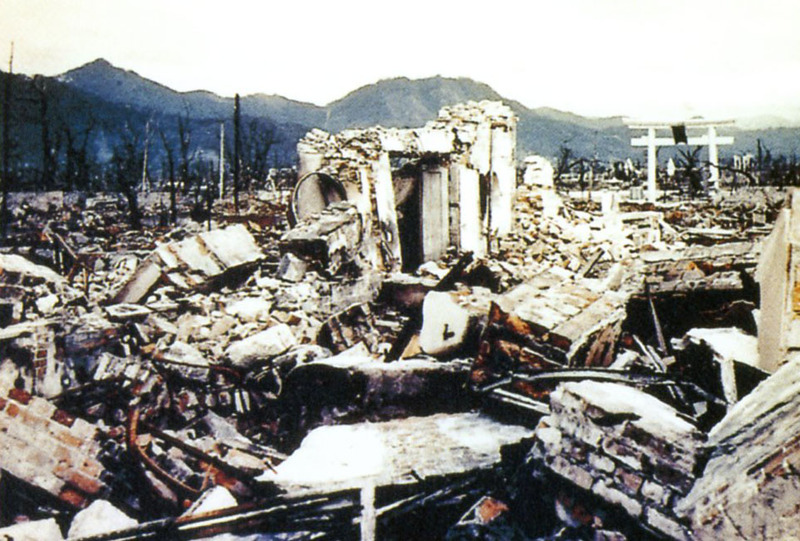 The entrance to Shima Hospital is all the remained following the detonation of the atomic bomb. 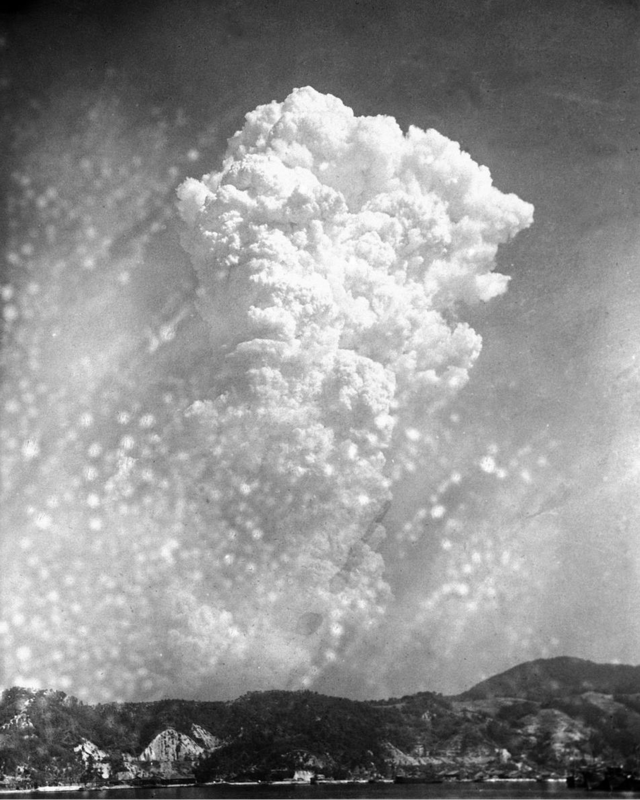 The resulting explosion was approximately equivalent in explosive force to the detonation of 16,000 tons (14,515 metric tons) of TNT (16 “kilotons”). An estimated 70,000 people were killed immediately, and another 70,000 were wounded. 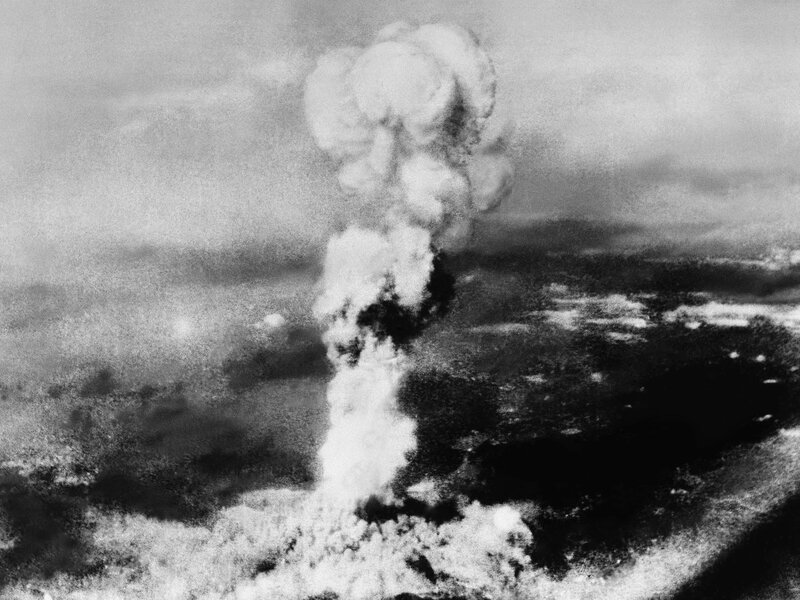 As many as 160,000 people may have died as a result of the atomic bombing by the end of 1945. More would follow over the next few years. 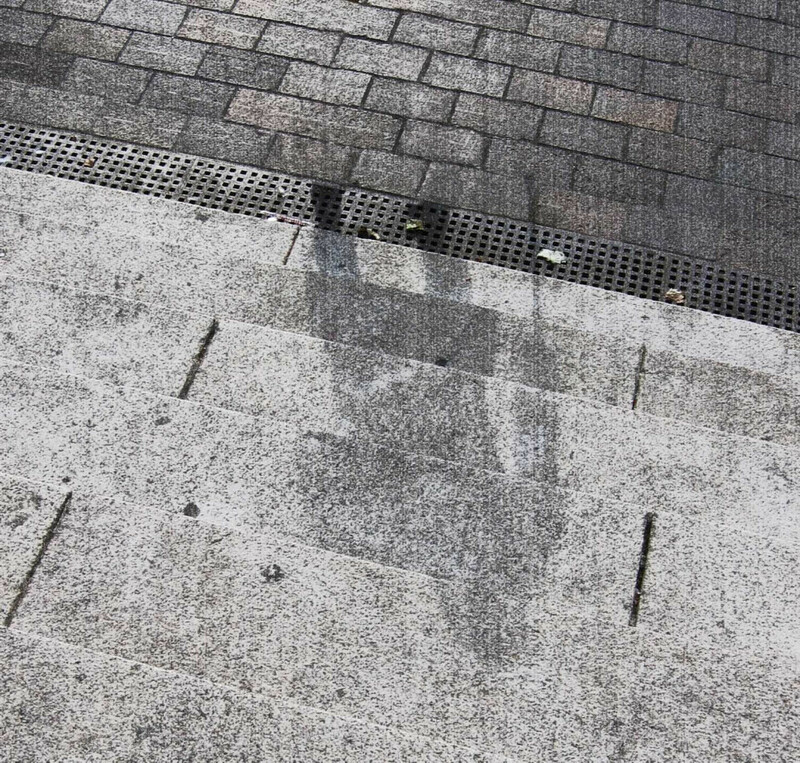 The shadow of one of the victims of the atomic bomb is etched onto the steps in front of a destroyed building. 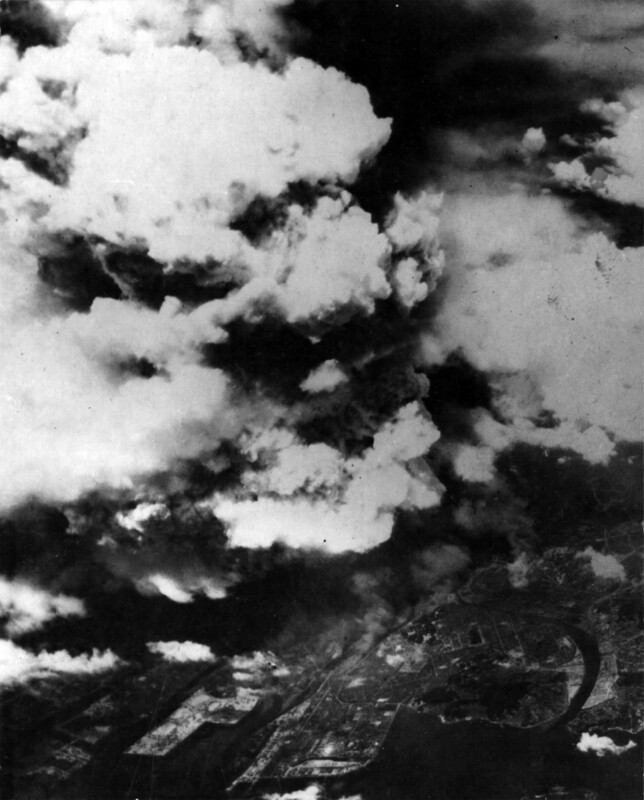 An area of the city with a radius of 1 mile (1.6 kilometers) from the point of detonation (“hypocenter”) was totally destroyed, and combined with the fires that followed, 4.7 square miles (12.17 kilometers²) of the city were destroyed. 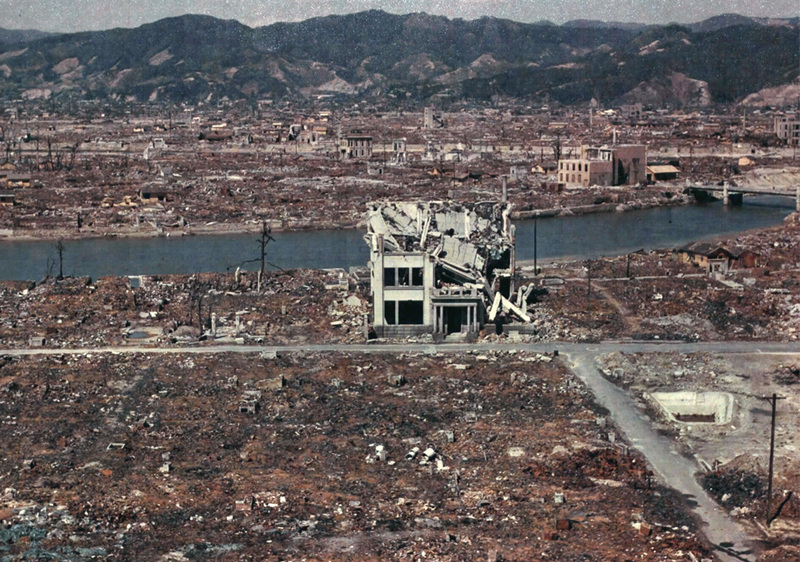 69% of all buildings in Hiroshima were completely destroyed and another 6% damaged. 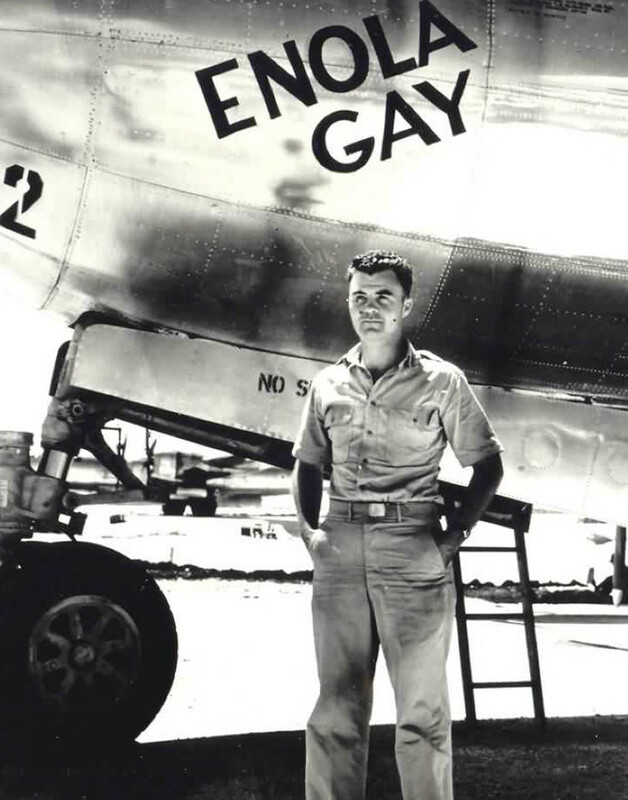 As soon as the bomb was released, Colonel Tibbets turned his B-29 away to avoid the blast. 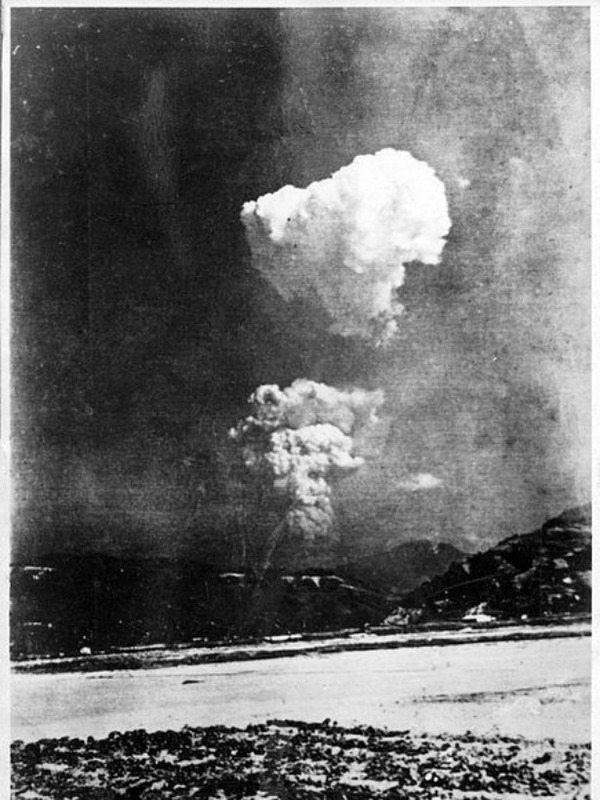 It was just over 11 miles (17.7 kilometers) from the detonation point when the shock waves hit, but no damage resulted. The bomber was then flown back to Tinian, landing after an elapsed time of 12 hours, 13 minutes. Enola Gay was placed in storage at Davis-Monthan Army Air Field, Tucson, Arizona, 26 July 1946, and was transferred to the Smithsonian Institution just over one month later, 30 August 1946. For decades it sat in storage at different locations around the country, but finally a total restoration was performed. 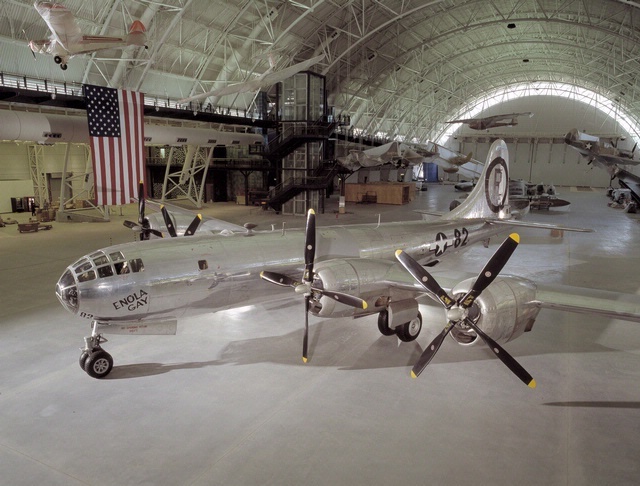 Today, the B-29 is on display at the Steven F. Udvar-Hazy Center, National Air and Space Museum.